What is the Koala Breakfast? How do I book a date for my Koala Breakfast Gift Voucher? How do I make a booking for the Koala Breakfast? What days does Koala Breakfast run? What's included in the Koala Breakfast? How long does the Koala Breakfast last? Are there any restrictions for the Koala Breakfast? What's the maximum number of individuals who can take part in the Koala Breakfast? Do you offer a spectator ticket for the Koala Breakfast? Please visit here to book. 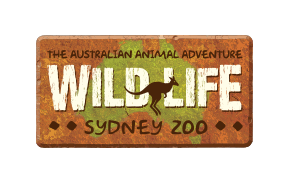 Important: Please arrive at the main entrance of WILD LIFE Sydney Zoo NO LATER THAN 7:15AM on the day of your booking, and wait for a staff member to collect you. Please be prompt as this start time is before the rest of the attraction is open, so there will not be staff on hand to collect latecomers after breakfast guests have been admitted. Do I need to bring anything for my Koala Breakfast? How do I make a booking for the Koala Encounter?